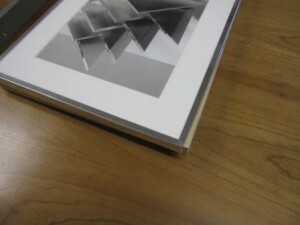 The SmallTray is a rigid, protective tray designed to support works of art in display frames or storage. 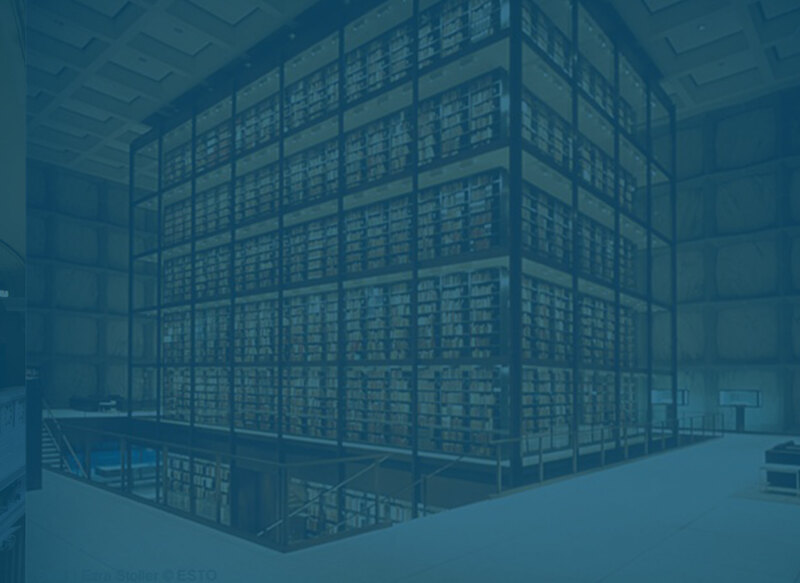 It is constructed entirely from inert, archival materials. Framers and conservators use SmallTrays, along with glass or acrylic glazing, to create a sealed art package. Once properly glazed and sealed, SmallTrays are archival, airtight, and water-resistant. These art packages can then be easily framed or safely stored. 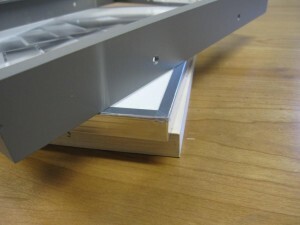 SmallTrays are made of raw aluminum angle. The base of the tray is 4mm dibond with a polyester coating on both sides. The dibond is adhered to the frame with two-part neutral cure epoxy. We can supply acrylic glazing cut to fit, or you can provide your own. Trays up to 3/4” deep are made from 1/16” thick aluminum angle. For trays deeper than 3/4”, we use 1/8” angle. The SmallTray is available in custom sizes up to 40” x 60” in depths from ¼” to 3”.